Donald Trump’s election as the next American president risks morphing the era of mega-M&A into bumper breakups by command. The self-described dealmaker has already railed against AT&T’s planned $85 bln tie-up with Time Warner, wants to rip apart Comcast-NBC Universal and may have a beef with large banks. Corporate chieftains’ imperial ambitions may have to be put on hold. He’s not the only one who reckons that the current pace of corporate roll-ups should be stopped. Higher prices and fears about many assets in various industries being owned by just a handful of companies fueled not only Trump’s campaign but also that of Democratic presidential nominee Bernie Sanders. The biggest sign of whether Trump’s intent will turn to action will come when he anoints the new heads for the Justice Department, the Federal Trade Commission and the Federal Communications Commission. All three play roles in reviewing deals. The litigious Trump could nominate aggressive regulators who aren’t afraid of bringing anti-competitive lawsuits or being challenged in courts by companies seeking to merge. He may not stop at nixing or reversing big deals, either. Trump singled out e-commerce retailer Amazon as having a “huge antitrust problem.” Founder and Chief Executive Jeff Bezos also owns the Washington Post, which has been highly critical of the president-to-be. President Obama’s merger reviewers have hardly been slouches. They’re currently challenging Anthem’s purchase of Cigna and Aetna’s bid for Humana. If Trump’s campaign remarks are any indication, his picks could be even bigger deal slayers. 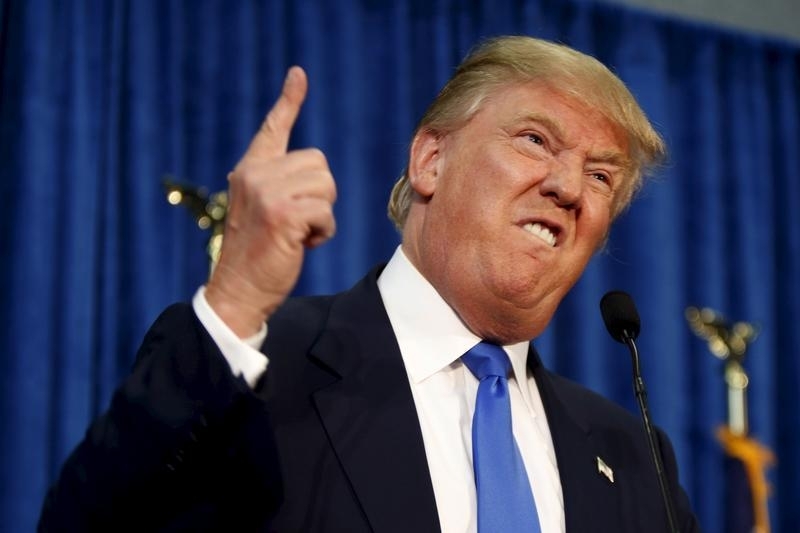 Republican presidential candidate Donald Trump gestures and declares "You're fired!" at a rally in Manchester, New Hampshire, June 17, 2015. On Nov. 9 AT&T Chief Financial Officer John Stephens said at an investor conference that his company was looking forward to working with President-elect Donal Trump and "optimistic" regulators would approve its $85.6 billion agreed deal for Time Warner. The two companies announced their merger on Oct. 22. While campaigning for the election, Trump had said his administration would block the deal.